Part of Tenafly, Palisade Township. 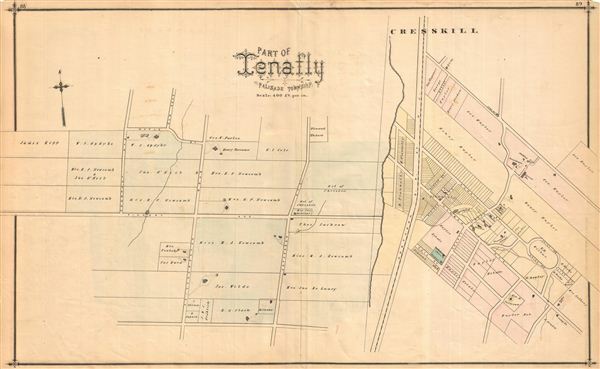 Vividly detailed 1876 map of Tenafly, Palisade Township, New Jersey, showing roads and property owners' names. Published as plates 88-89 in Walker & Pease' exquisite 'topographical, illustrated, historical, descriptive' Atlas of Bergen County, New Jersey, 1876. Similar maps of Demarest, Overton and New Milford appear on verso.